Once a donor liver has been identified for the liver transplant surgery, you will get a message from the transplant coordinator either by telephone or through the pager. Most transplant units provide these pagers as these make it easy to contact the patient at all times, especially when arrangements for the liver transplant procedure should be immediately started. Once you arrive at the hospital there will be a series of electrocardiograms, additional blood tests and chest X rays that will show the doctors the condition of your body before the surgery. Once the tests on the donor liver match your liver, you can meet the entire surgical team. This team will include the resident doctor (who will be performing the operation), the anesthesiologist and a group of nurses. Abstain from drinking or eating anything before the procedure as this is mandatory when a surgery is performed on an empty stomach. The coordinator will give you instructions telling you how to go about the procedure. You can ask the coordinator for any other information in case you have any doubts regarding the procedure. In case of a living donor liver transplant process, the initial surgery is performed on the living donor, where a part of his liver is taken out to be prepared for transplant. In case of deceased donor liver transplant, the donor liver is prepared and made ready to be placed into your body, once your liver has been removed. 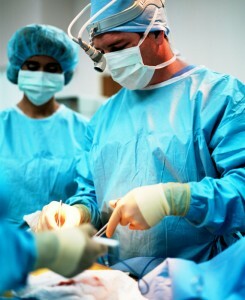 Liver transplant procedures can take between 6 hours to 15 hours based on the complications that arise during surgery. The surgical team will insert a number of tubes into your body, which will help the body function during the course of the operation and these tubes will be taken out a few days after the procedure. 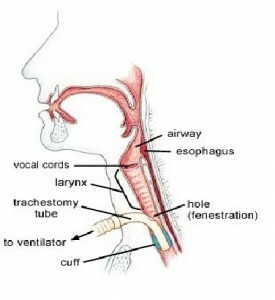 Tracheal Tube – To help you breathe, a tube that runs into your trachea (windpipe) through your mouth will be used. This tube will be in use during the liver transplant procedure and at least for a day after the procedure. There is a ventilator that is attached to the tube which will help the lungs expand and aid in breathing. This tube will be removed once you can breathe on your own. Nasogastric Tube – The N/G (nasogastric) tube extends from your nose to your stomach helping the surgical team drain any secretions from the stomach during the operation. It is removed after a few days once the bowels start functioning normally. Catheter – A catheter is used to help drain urine. Urine levels are constantly monitored in order to indicate how well the renal organs (like the kidneys) are functioning during and a few days after the procedure. The catheter is generally removed one or two days after the operation. Abdominal Tubes – Three more tubes are placed in the abdomen and these are used to drain the fluids and blood from the liver area. These tubes are generally taken out after a week. T Tube – If the surgeons feel the need to monitor your bile levels during and after the procedure, they may place another tube called the T-tube in the common bile duct. This drains out the bile into a small pouch outside the body. The levels of bile being drained out are measured here. Once the tubes are set, the donor liver has been transplanted and the vessels to the new liver are connected, the surgeons wait to see if the liver turns pink. This shows that blood is flowing towards the liver, indicating that the procedure is a success. People can opt for an endoscopic liver procedure these days. A Japanese survey showed that when the surgery was done endoscopicaly, complications were noted in only 6.6% of the entire 169 patients, whereas when the procedure was done laproscopicaly, problems arose with 12.3% of 471 patients. Success rates for liver transplant surgery are steadily increasing, and although the life expectancy of an individual after the surgical procedure is around 80%. Post liver transplant care is met out to deal with post liver transplant complications and transplant rejections. This entry was posted in Liver Transplant Surgery and tagged liver transplant, liver transplant procedure, liver transplant process, liver transplant surgery, liver transplant surgery procedure, liver transplantation, liver transplantation surgery, liver transplantation surgery procedure by Zipheal Editorial Staff. Bookmark the permalink.